Dietary supplement with Birch lymph and plant extracts. Birch and Lespedeza promote body fluid drainage, urinary tract function, and body purification function. Goldenrod, Pilosella, Horsetailand and Orthosiphon also help to drain body fluids. Dandelion roots and Tamarind fruit pulp help to regulate bowel movements. 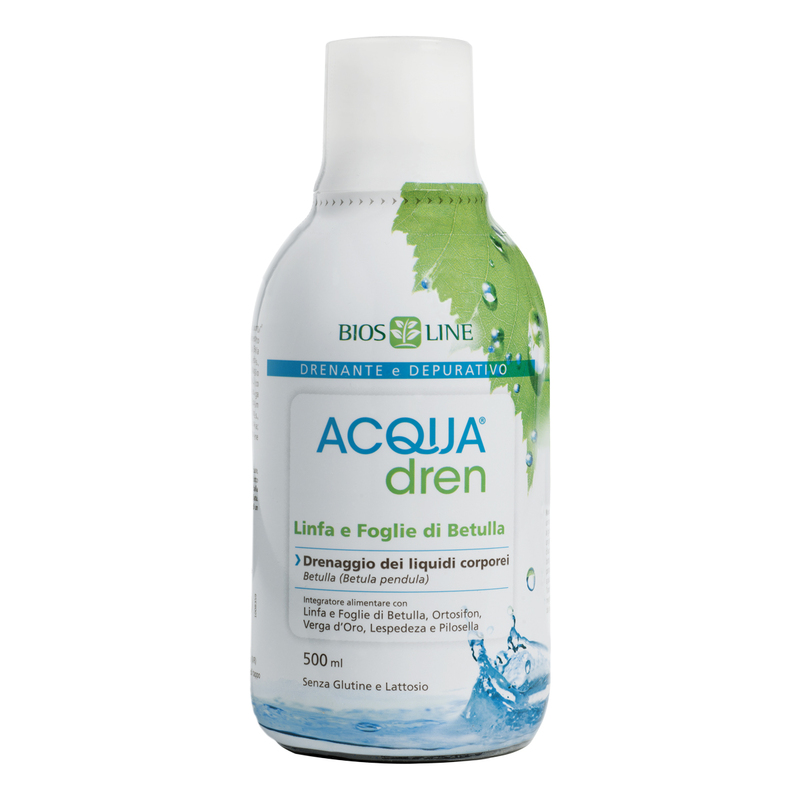 Recommended for draining excess fluid and eliminating the accumulation of toxins. Helps reduce bloating and promotes bowel and bladder function. One 20 ml measure per day, diluted in a large glass of water or a bottle of water to drink as needed during the day, preferably between meals. Birch sap, birch leaves, hawkweed, orthosiphon, tamarind, dandelion, golden rod, horsetail, lespedeza. Gluten and lactose free. Suitable for vegans. Pineapple flavour. Sweetened with steviol glycosides extracted from, date juice and apple juice.